It’s been map central in the studio in the past few months. These are just three of my favourites – stay tuned for more soon. I love drawing in straight black ink on white – so simple but so effective. 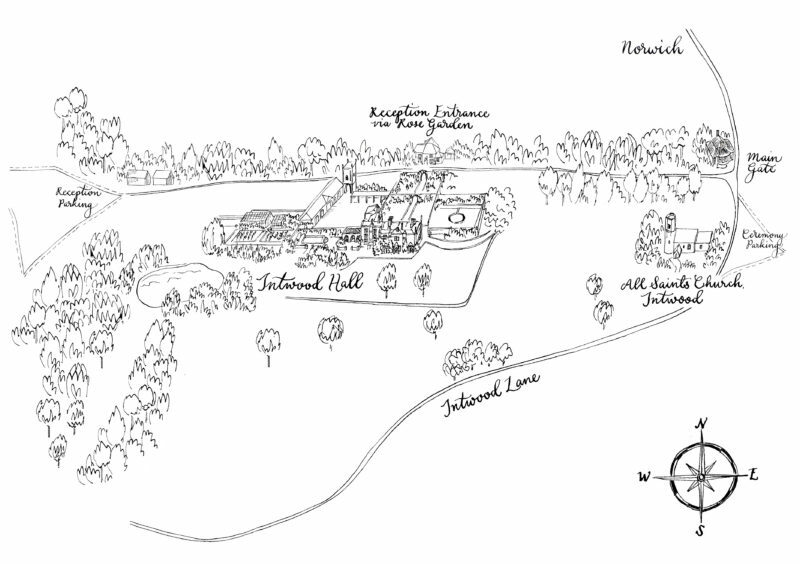 This map was designed to accompany traditional copperplate invitations for a Norfolk wedding this summer.  I managed to squeeze in the stables, rose garden and greenhouses – England at it’s best! 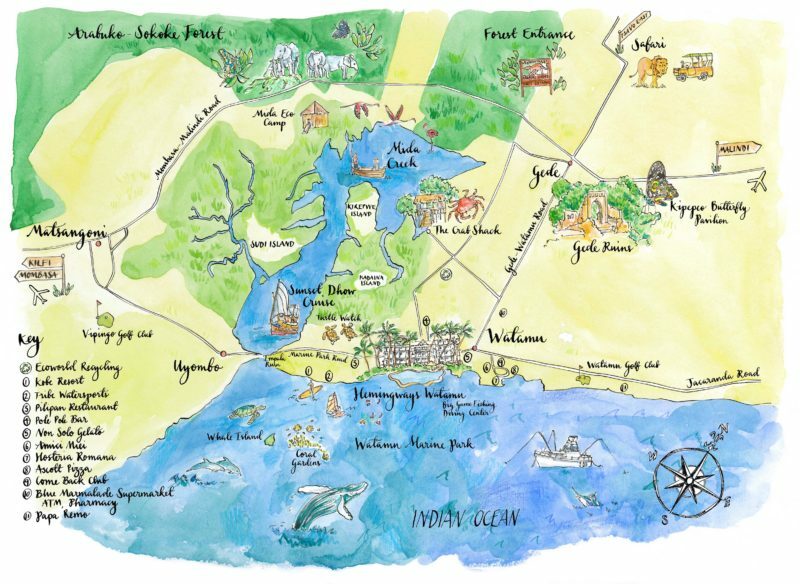 And finally… all the way to Africa for this map of the Kenyan coastline, commissioned by the legendary hotel Hemingways Watamu as a guide to the area for their guests. This was a total dream to create – spot elephants, flamingos, dhows, humpback whales, fishing boats, turtles and more! 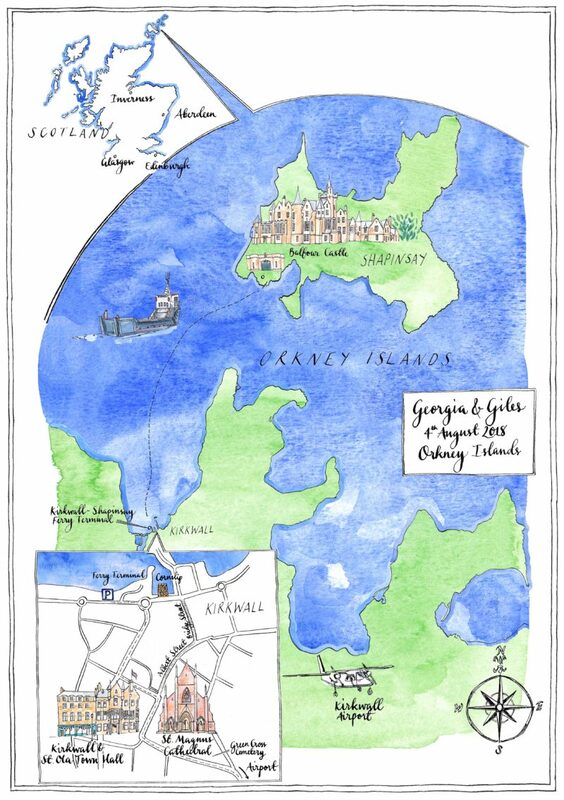 I love creating maps – if you have an idea for a map that you need bringing to life, get in touch!